I forget about the time diff… still working on my morning coffee. Do you still have any devices on ST at your current home? The house I live in (rented) is still a dumb house, bar a few smart devices I’m bench testing (in the bedroom lol). My other house with tennants in is still on ST and will remain that way, I have no intention of breaking / reinventing the wheel on that setup. And I’m still not 100% sold on HE, it is lacking a good UI / mobile app, which right now is a deal breaker for me! My home setup is somewhat smart but not fully automated. ST going down is an inconvenience but not OHMYGOD what are going to do kind of situation. Local operation is cool but not enough for me to start unpairing my devices and then moving it over, BUT it would be a whole different story if my ST hub craps out lol. No choice there… version 1 kickstarter hub still going! Opps… not thinking when I wrote this simple piston… deadly loop!! But jeeeeeeeez, webCoRE is fast on HE!!! I’d save that one. There was someone on this or the ST board wanting to created a haunted house, lol. I’m thinking about buying one of these to play around. I just want to make sure I understand webcore with Hubitat. All pistons run locally? webcore interface to create the pistons is the only part that’s not local? All pistons run locally? webcore interface to create the pistons is the only part that’s not local? Correct, you still need the web UI to create and edit pistons, but instead of saving pistons into the ST cloud, they are saved directly onto the Hubitat hub and run 100% local. The HE guys still need to get the mobile app out though. Once we have a local frontend, it’ll be one hell of a platform. They’ve said the mobile app wont have a tile interface i.e. no device control as we know it… so the app sounds like it will be fairly usless IMHO. I’m running the old school SmartTiles as I was lucky enough to still have the source code, but anyone who doesn’t have the code can’t do that (licence prevents it being shared). As for “SmartTiles” 5.3.3, [redacted]. Distribution of any version of SmartTiles™ is violation of Copyright and the License granted with the source code. Using a copy which you have obtained through illegal distribution is also a copyright violation. *  This software if free for Private Use. You may use and modify the software without distributing it. *  This software and derivatives may not be used for commercial purposes. *  You may not modify, distribute or sublicense this software. *  You may not grant a sublicense to modify and distribute this software to third parties not included in the license. *  Software is provided without warranty and the software author/license owner cannot be held liable for damages. Please respect the intellectual property rights of developers. While we support open source development and the various types of open source licenses available, please note that SmartTiles was never released under an unrestricted license. The copyright was owned by Alex Malikov and transferred to our partnership, Thingterfaces™ LP. Alex Malikov and Thingterfaces LP have not relinquished any of our rights under copyright protection laws. All intellectual property, including, but not limited to, trademarks and source code of SmartTiles in any form, is the property of Thingterfaces LP. We reserve the right to pursue civil and/or criminal prosecution remedies from violators under the DCMA and/or any applicable intellectual property protections at any time. ActionTiles, SmartTiles, Thingterfaces, the “house/tiled wall” logo and other associated original logo and icon designs are trademarks of Thingterfaces LP. All rights reserved. As noted in the post immediately prior to this one, it is essentially impossible to prevent the distribution of source code, despite copyright and clearly expressed licensing restrictions. If we distributed SmartTiles™ v5.7 in source code from for use on Hubitat, we would have a very difficult time of ensuring it wasn’t illegally used for SmartThings as well. As for “SmartTiles” 5.3.3, Google is your friend. You need to respect the licence as Terry notes above… I don’t mind stealing software from greasy corporations but not small businesses. I have 5.3.3 anyway… was hoping to upgrade. 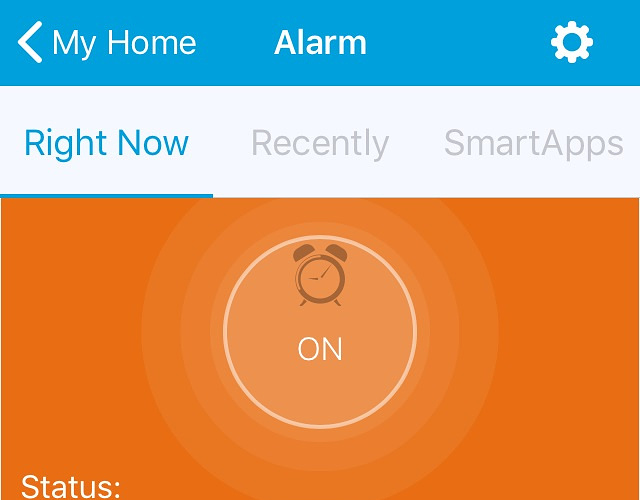 That said, I’ve just discovered the Alexa smart home interface… looks quite nice. Actually the screenshots that have been posted looks pretty good. They just look like a mini tile version of their IP interface. 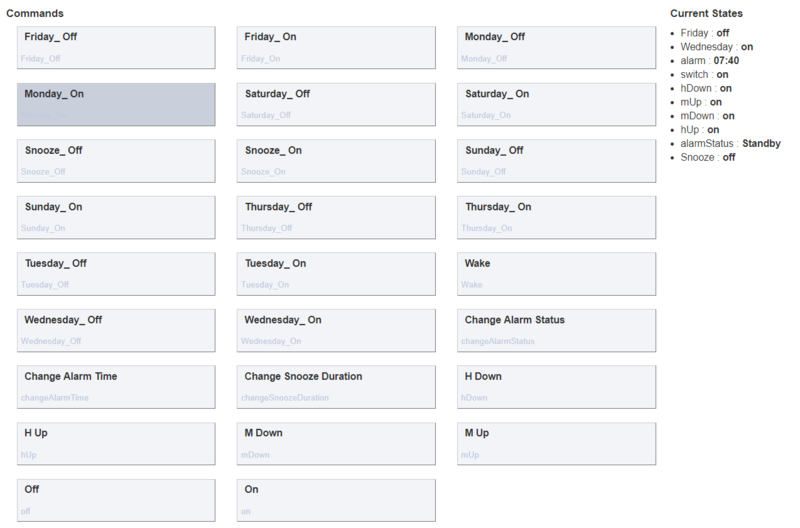 No tile definitions means auto generated tiles based on defined commands in the code, so plain tiles, yey. Actually, the SmartTiles repository from Alex625 is just there for legacy users, the source code is not there, just the icons existing users need for their dashboards to function. Anyone sharing the code itself is in breach of the licence conditions. what’s your thinking on Hubitat @RobinWinbourne? How much was the final bill to get it to the UK with taxes? I’m thinking of giving it ago mostly for the local ability so my lights will work without being online and seeing as you have webcore working its enticing me more. Has the webcore side been a simple port over? I paid £26 import duty on top of the price on the hubitat website. webCoRE was ported by others, link in my first post. It required a few changes but nothing crazy. Main thing with porting to hubitat is changing ‘physicalgraph’ to ‘hubitat’. The lack of an app will be less of a problem as I add more automation. Also, Alexa integration is very very fast to respond to commands and the Amazon app has a really good interface for controlling the devices manually. I’m erring on the side of recommending it now, but I’ve always been fairly happy with ST as well so I wont be changing any of my existing setups in homes I rent out to tennants. Likely to be used in new homes I buy though. So all in about £143 with shipping and at today’s price conversion? Is there a github repository with working code with all the relevant changes? found this thread on the community? Also, Alexa integration is very very fast to respond to commands and the Amazon app has a really good interface for controlling the devices manually. I went down the google home route don’t think they have integrated that yet? I’m erring on the side of recommending it now, but I’ve always been fairly happy with ST as well so I wont be changing any of my existing setups in homes I rent out to tennants. Im happy with ST but during the outages it was a bit of a pain as I like my smart lights. I plan to still use them and also have some smart switch dimmers. So I want to have them both running together to get the best of both worlds. But i’m guessing you can’t speak from experience of using the hub link apps as your ST setup is at your tennents? Edit: @RobinWinbourne also looked a homey but not sure that’s quite there yet in regards to a rules engine. The best ported version of webCoRE that I’ve found is in post 1 above. No idea about Homey, haven’t looked into it.